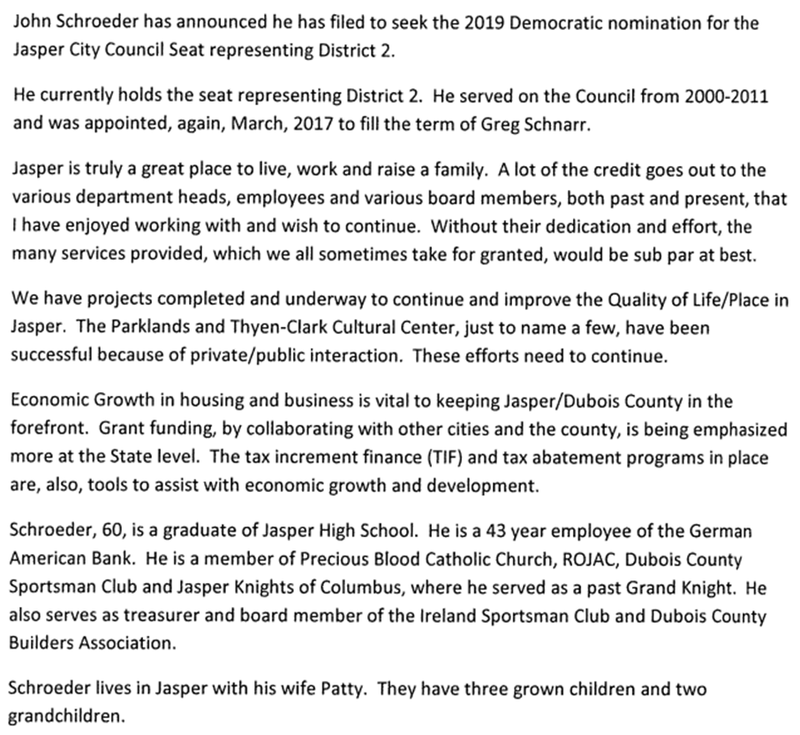 JASPER -- Jasper Common Councilman John Schroeder (D - District 2) has announced he'll seek re-election in this year's municipal elections. He's served on the council from 2000 - 2011, an was appointed back to the council in March of 2017 to finish Greg Schnarr's term. In his announcement, Schroeder called Jasper, "truly a great place to live, work and raise a family." He added, "Economic growth in housing and business is vital to keeping Jasper and Dubois County in the forefront." 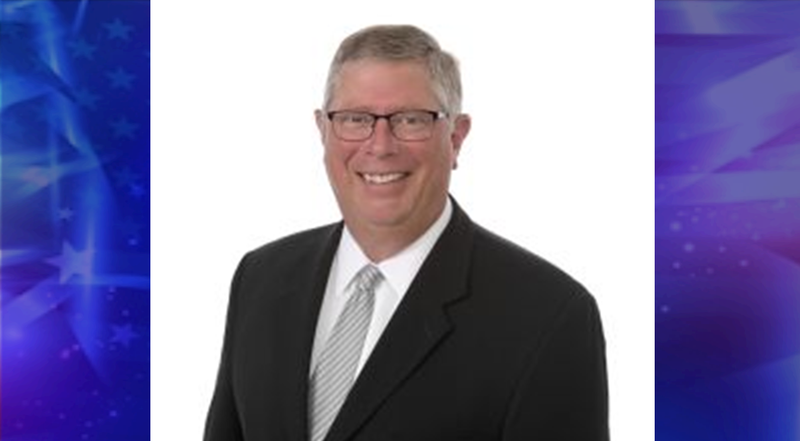 Schroeder, a graduate of Jasper High School, has been with German American Bank for 43 years. He's a member of Precious Blood and active in the community.